They’re done! 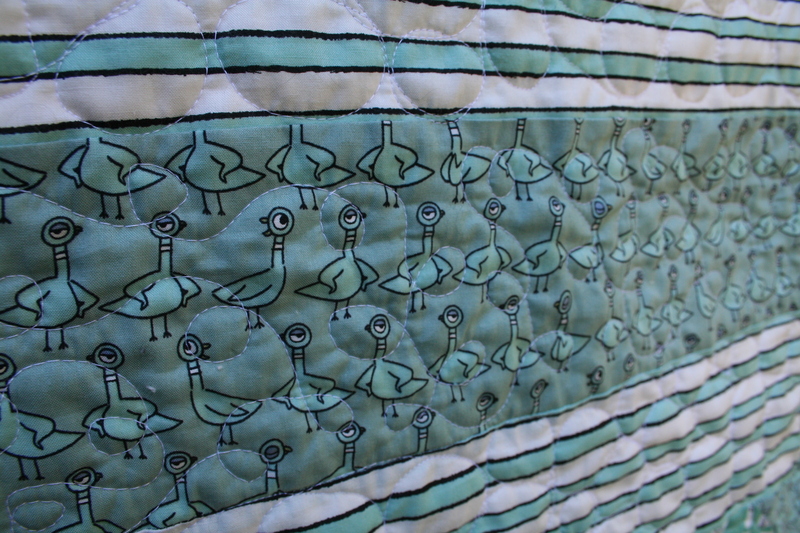 First Miles’s, now Eli’s pigeon quilt, ready just in time for camp this morning. My oldest helped tweak the design himself. 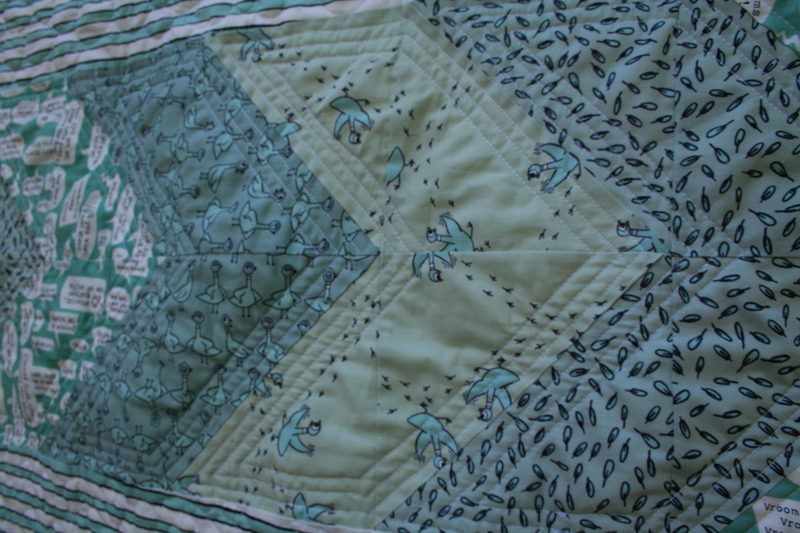 Because I was making two pigeon quilts in a month, I wanted to keep the designs simple. So strips and half square triangles won out. 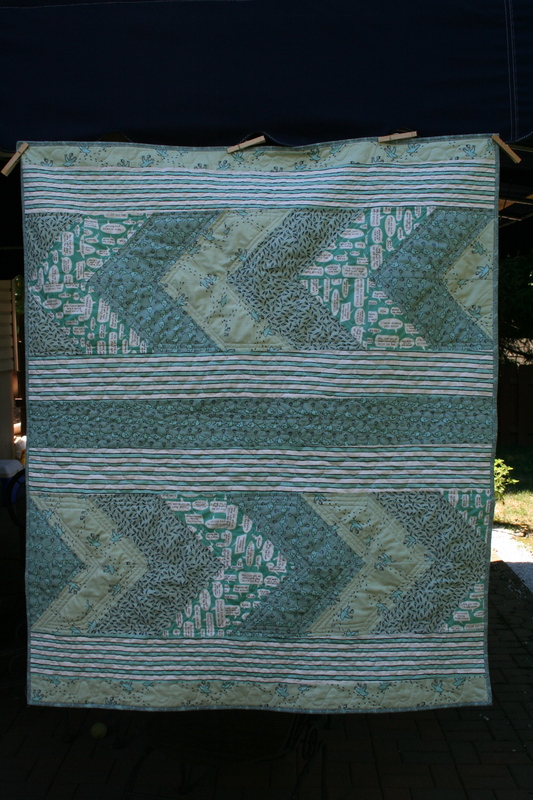 I used five different quilting designs in this quilt. 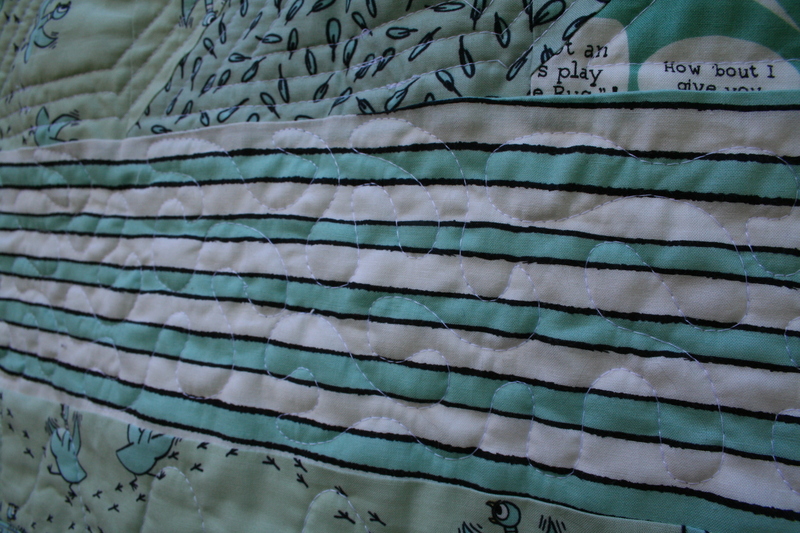 The center stripe is loops, the middle stripe strips are pebbles, the arrows have echo angles, the end stripe strips are stippled and the little light green bits at the end have a single wavy line. 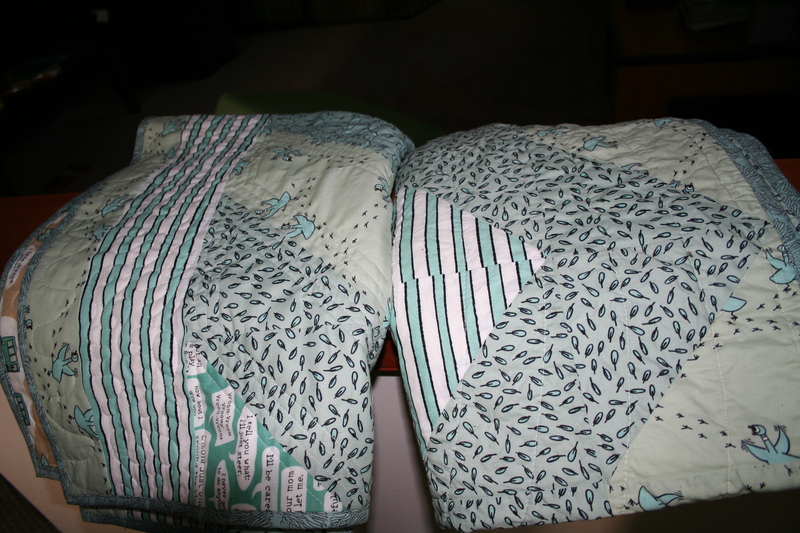 I bound it in the Parson Gray teal coral fabric, just like the other. 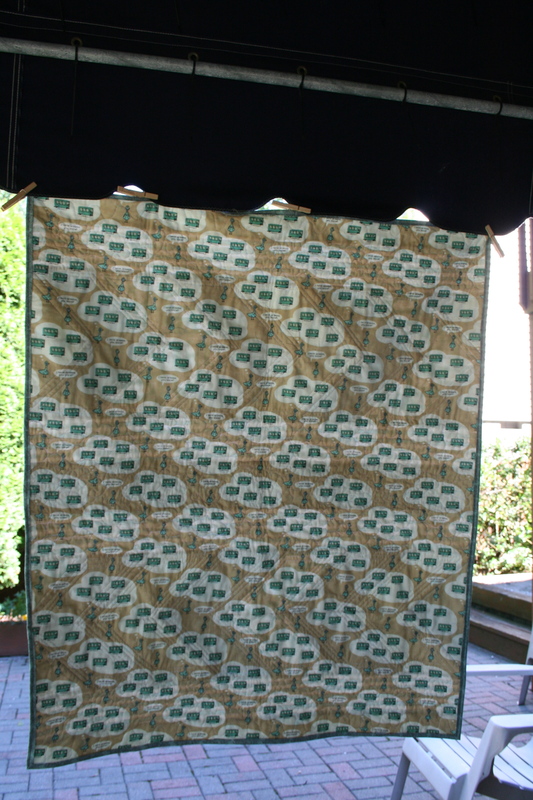 The size is about 45″ x 50″. 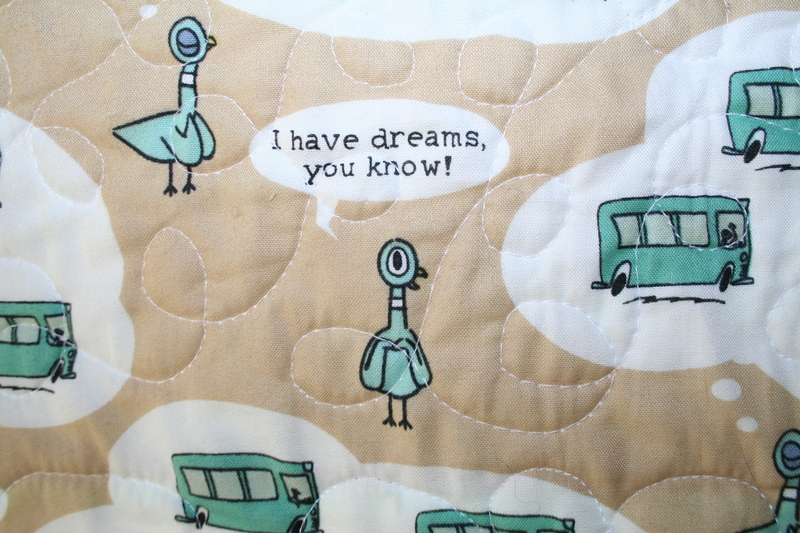 I love the contrasting bus print on the back. It gives a nice look when it’s in use and you get a peek. I think everyone is excited for camp this morning. 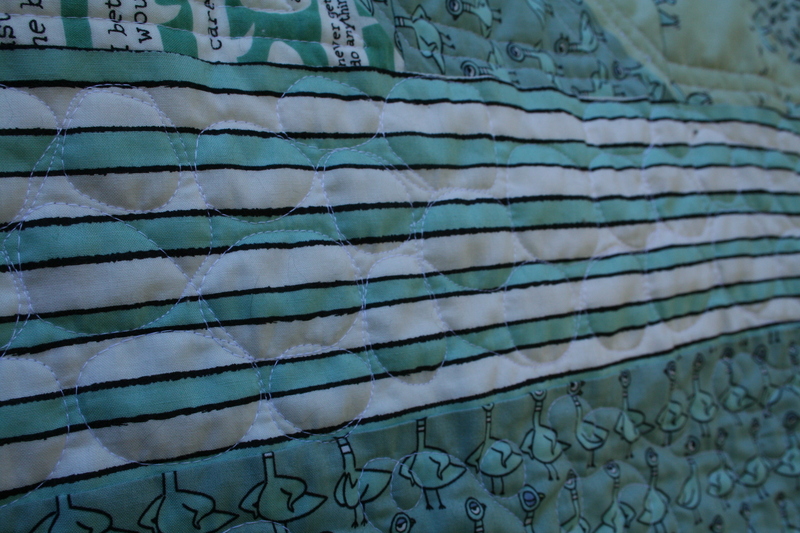 The kids because they get to swim and play and use their quilts, and mom because she’ll have more quilting time.